Thirty minutes after the sun dropped behind the mountains last night, I set out westward on the trail around McIntosh Lake, huddled in my coat and gloves, walking into nightfall. As the sky darkened, I noticed my shadow stretching out subtly before me. Turning around to see where the light was coming from, this far from the street, I saw the moon rising in the east, nearly full, bright as a headlamp. It stopped me with its familiar yet mysterious beauty. An owl hooted just once from the barren branches of a cottonwood tree overlooking a field of silent prairie dog mounds. My head snapped sideways. Peering into the dark, I detected the presence of the great winged predator, barely visible against the blue-black sky. For a moment, I was transfixed by the primordial sensation of being at home in the world, breathing in the out-breath of plants, the precious air. 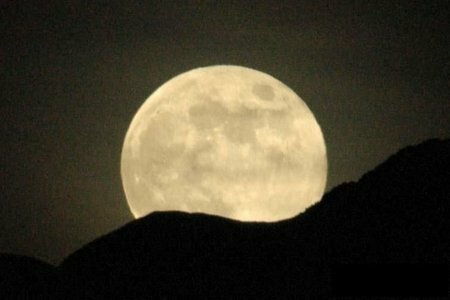 Just another animal shivering beneath the moon. Hungering for something hidden in the darkness. Inhabiting again the natural habitat of the human heart—the religion and poetry of nature. I’m not sure his prognostication has come true, but for an increasing number of us, poetry rings with sacred overtones. Join us this coming Sunday for a breath of air in the midst of the busy holiday season. Reconnect through poetry with the source of life. Or take a hike. Either one is good. Lectio Poetica is a contemplative practice that originated in the monastic tradition of the West. With poetry as our sacred text, it is appropriate for seekers of any worldview. We meet the 1st and 3rd Sundays of each month. Our next gathering will be Sunday, December 2, from 9:15-11:30 a.m. As always, please RSVP so we can plan accordingly. Jose Arguelles first brought the attention of the world to this key date of the Mayan calendar—some 20 or even 30 years ago. Since then, many writers and interpreters have turned their attention to the subject. We have waited a very long time for this “target” date to occur—at last we will know—is the seeming prophecy authentic or just a mere happenstance—maybe even an honest misinterpretation? Mayan calendars aside, this is a most important date in astrology (and astronomy) for on this date the sun, earth, and the center of our galaxy will fall into an alignment that only occurs every 26,000 years or so. The results are not predictable. Some think there will be world cataclysms, or perhaps great emissions of energy from explosions on the sun (which will upset the earth’s own magnetic field) or yet other major upsets in the natural order. One often repeated prediction is that humanity (or some portions of it) will leap to another (higher) frequency and perhaps even “ascend” into another dimension. Frankly, I think there is something to this theory—I perceived many years ago that worldwide transformation was taking place, that the inhabitants of this planet were in fact rising into a new phase of higher, more subtle vibrations, and that this phenomenon was part of the larger process of the evolution of the human species. So—in many regards, such predictions are not new, but rather seem to convey greater urgency as we approach the key date of December 21, 2012. Recently, I had a simple operation (cataract removal). When the anesthetic was administered, I “went out like a light” and did not come back into normal consciousness until the operation was over—some 7 or 8 minutes later. I had no awareness of the procedures being addressed to my physical body. In fact, when I woke up, I thought the operation was just about to begin. Where was I during this “sleep period”? I was alive, clearly, but where was my awareness? Did I endure a kind of “death state” in which the body continued to function but the mind was “frozen” into incapacity? Is this the “sleep state” we enter at death? Is it the “unconscious consciousness” we will experience if we are indeed wafted up into another sphere, a higher realm of being? Will this process be part of the “divinization of matter” many writers have referred to (see especially Teihard du Chardin)? Often, during the course of K. awakening, there will be "dry times", when nothing in particular seems to be happening. We will then wonder to ourselves, "Have I done something wrong? Was I tested and found unworthy to compete this process? What can I do to return to my former state of joy and bliss?" Evelyn Underhill, in her magnificent book called "Mysticism," describes these periods as the true "dark night" of the soul. She says that for the mystic who has tasted God's presence, the loss is extreme, even more painful than the earlier dark period that may have preceded the initial awakening. For many of us, it is as if we are now deprived of what has been a close companion--as if we had lost the key to a process which we welcomed as an exciting transformation of our inner being. We miss our forward progress, even when it may have been painful at times. Generally, such experiences are simply "episodes" and not permanent conditions. 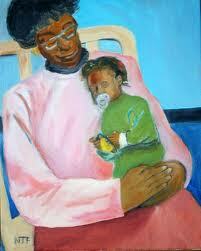 Perhaps these are necessary "quiet times" permitting integration of our total experience. Or, possibly, after a very long time, the process itself has in effect reached completion, or at least entered a new phase, when we can contemplate the trajectory of our extended journey, and enjoy "coming into safe harbor." Now we can enjoy our state of inner tranquility and accept that silence and stillness also have much to offer. Perhaps our new condition is not one of loss but arrival. It takes a great deal of courage and strength to continue on what may be a most lonely journey (unless you are one of the lucky ones with companions on the path). This article from "DailyOM" speaks specifically to this problem of isolation as it manifests not just in Kundalini awakening but also in other ways in our lives. The article stresses the need to be sympathetic to those who feel distressed by your unique state. At the same time, it is important to be true to yourself and your (often) newly discovered set of guidelines, for you are, in fact (if you are experiencing K. awakening) being transformed into a new being. Remember the Bible verse that says you should "leave father and mother and follow me"? I think this setting of priorities with the new life at the top is what is referred to in this passage. It should also be noted that there are many ways of feeling like a "black sheep" in a herd of white sheep--those who are especially sensitive, artists, inventors, creators of all kinds--these frequently do not fit the norm, but often they are among the most valuable members of society precisely because they "follow their bliss" and do not conform to the norms adopted by the majority. When we move beyond comparisons and accept our differences, we appreciate the significance of our upbringing and socialization in each of our unique life's journey. 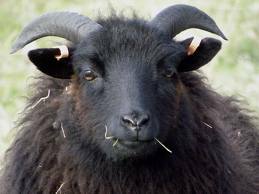 Many black sheep respond to the separateness they feel by pulling back from the very people to whom they might otherwise feel closest and embracing a different group with whom they enjoy a greater degree of commonality. But if you feel that your very nature has set you apart from your peers and relatives, consider that you chose long ago to be raised by a specific family and to come together with specific people so that you could have certain experiences that would contribute to your ongoing evolution. You may be much more sensitive than the people around you or more artistic, aware, spiritual, or imaginative. The disparate temperament of your values and those of your family or peers need not be a catalyst for interpersonal conflict. If you can move beyond comparisons and accept these differences, you will come to appreciate the significant role your upbringing and socialization have played in your life's unique journey. In time, most black sheep learn to embrace their differences and be thankful for those aspects of their individuality that set them apart from others. We cannot expect that our peers and relatives will suddenly choose to embrace our values and offer us the precise form of support we need. But we can acknowledge the importance of these individuals by devoting a portion of our energy to keeping these relationships healthy while continuing to define our own identities apart from them. Patricia's poem about "Penelope's Loom"
Dear friend Patricia wrote the following poem about "Penelope's Loom" (latest book of poems) and posted it on Amazon. Many thanks, Patricia. One of the tests of true friendship is the gift of putting a review post up on the Amazon site, so this one is deeply appreciated. S said, I am Soul. but you are Sin, too. and I brush away malice. the other side of Praise. had two sides or more. of the new heavens and earth. NOTE: Somehow, this poem reminds me of Kundalini--a process that has two sides. One is joy and rapture--the other can be pain and discomfort. However, most of us, having survived the difficult stages, ultimately find joy and peace in the quiet of a passage safely past, a journey with its own rewards. Like the "A" of the alphabet, Kundalini connects us with "All" (infinite love, endless possibility) but it can also feel much like a limitation--since it can (temporarily) impair our ability to function at our best in the world. 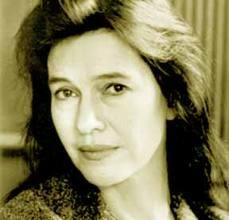 COMMENT: Louise Erdrich is one of the most recognized and prolific authors of our time. What she looks at in this poem is the problem that most of us have--the intrusion of the "insignificant" details of living on the more urgent and important tasks of our own personal calling. Certainly, once you undergo Kundalini arousal you will be challenged--whether to give yourself totally to this fascinating experience of transcendence or rather to commit yourself to the more mundane tasks needed to "keep up" in this world. Here is a description of sacred poetry as a "goodwill ambassador" for various faiths--all from Ivan Granger of the Poetry Chaikhana. "Sacred poetry has the unique benefit of being a deeply personal expression of spiritual truth while, at the same time, being largely free from dogma. In the United States, for example, there is an increasing prejudice and fear about the Muslim world. But who can read Jelaluddin Rumi without immediately recognizing the deep truth that Islam can express? The same is true for a non-Hindu reading Lal Ded or a non-Christian reading St. John of the Cross. Sacred poetry is the natural goodwill ambassador for the world's religions. Poetry can reach across cultural divides, soften prejudices, and shed light on misunderstandings. I hope the Poetry Chaikhana can help to facilitate that process." Yes, I see you are afraid. Breathe, beautiful one, my child. Your first and final mother. I give you my courage...you give me your fear. void, where all creation begins. I come to hold your face in my hands. I come to hold your heart in my heart. I come to hold your fears in my breath. I come to hold your pain in my teeth. I come to hold your dreams in my womb. lies the passage to freedom. Leap into the current of your journey. Dissolve into me, into you, into all that is. I love you beyond life, beyond death. from this slumber, this dream. into the home of my Lord. where He sat at the head of the table. for countless guests yet to arrive. at the far end of the great hall. the clothes shed by many who had come before me. while his eyes sparkled with delight. “What is it my dear?” She asked. to come home and feast with us forevermore. It takes up a lot of your time. All your weekends. Death - A great reward. I think that the life cycle is all backwards. You should die first. Get it out of the way. Then you live 20 years in an old folks home. You get a good watch. You go to work. You work for 40 years until you are young enough to enter college. You learn to party until you are ready for High School. You become a little kid. You play, you have no responsibilities. You become a little baby. You go back into the womb. Only to finish off as a gleam in somebodies eye. NOTE: The above poem is well off the topic of this blog, but I do believe that one of our ongoing tasks is to retain our sense of humor, to be able to appreciate clever irony when it presents itself, and to look at life from multiple angles. That, in my view, is an important way of both living in the world and out of it. that seemed hard frozen: may it happen to us. I just wrote a rather long piece on the above topic, but somehow lost the entire post before I could complete it. Here is a "summary" of what I was saying (I need to say these things, for they are issues that have impacted my life greatly). Two (maybe more) states have now approved initiatives to legalize gay marriage in their states (Maine and Maryland). For gays everywhere, this is a momentous decision. I grew up in the thirties during the Great Depression, when the topic of homosexuality was so hush hush it was never mentioned at all in most circles. In the late forties, I took a class in library science, where the teacher (after making a face) explained to us that "there were such people," but that books pertaining to this lifestyle must be kept under the librarians' counter, to avoid disseminating "dangerous" material to the public. 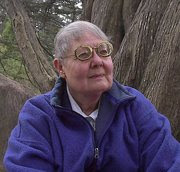 She was referring to such books a Kraft-Ebbing's studies of "sexual perversion" and the infamous novel "The Well of Loneliness," which portrayed lesbians as part of an"army of the damned," condemned forever to live in isolation and guilt. Despite the public condemnation of gays, those who loved one another continued to live in what were deeply committed unions, public support or not. After the aids crisis and Stonewall, things loosened a bit, but it was still extremely risky for gays and lesbians to reveal their sexual preference to any but their most trusted friends. To do so mean likely rejection from family and conservative friends, loss of jobs, and public humiliation. Gradually, things changed, but it was still decades before full acceptance became a possibility. As a result, many gays (I was one) lived a "double" life, creating one persona for the public and family, another for one's beloved companion. This "self censoring" was not good for the psyche or soul--it was as if some important part of the self were erased when one appeared in public, and the "taint" was always present. Ultimately, due to the efforts of certain brave souls, gays in many states won the right to have "civil unions," which allowed them to visit partners in hospital, share common property and such. No civil marriages were allowed--the measure failed when put up for public vote, even in California, where outside groups (Catholics and Mormons) poured money into the state when a referendum took place. Needless to say, the measure failed. Gay marriage then become a central issue in the 2008 Presidential election (in the meantime we were fighting two wars and many young (and some older) soldiers were being slaughtered for a cause that no one truly understood). In this last election, gay marriage was no longer an issue. Let us hope that the result in the two states that approved the initiative is merely a precursor of many such referendums--civil rights should not be restricted to those whose behavior conforms to the demands of certain religious groups. Love is love, and those who wish a permanent commitment, should be accorded the same rights as other groups. I might add that I personally have no desire to marry anyone, gay or straight, but am quite happy to live a single lifestyle. However, I marvel at the many changes of attitude that I have witnessed in the over eighty years of my life, and am grateful to be living in a more inclusive society. I am an avid follower of the T. V. series called "Ancient Aliens," (H2), particularly of those segments describing the various ancient monuments (Stone Henge is but one example) that simply could not have been constructed by humans equipped with only the most rudimentary tools. 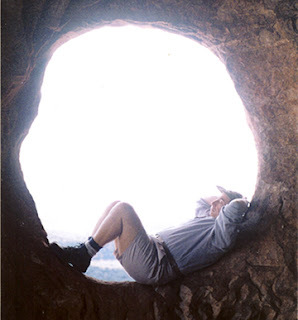 One theory of the "alien researchers" group is that not only were such early societies aided by alien beings, but that the latter literally directed that such sacred monuments (temples, holy wells, standing stones and the like) be erected along the "earth grid," thus creating a vast encircling energy system holding the planet in its grasp. 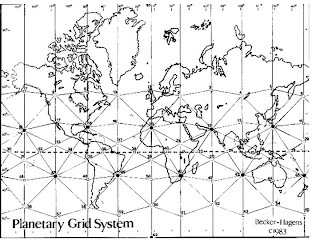 The "earth grid" (a theory, not a proved fact) refers to a series of electromagnetic lines, each encircling the globe from a different starting point. The result is a geometric configuration of charged "ley lines," with various sacred monuments appearing at various intervals along the way. Now, here is my theory. The "ancient alien researchers" claim that aliens must themselves have directed the placement of these monuments along these lines, since otherwise the early peoples would not have known where to construct their sacred sites. I think it was the other way around. I think that the ancient peoples had certain capacities that have now pretty much ossified for most of us. I think that just as they "smelled better" (with more acuteness) and "saw better" (for survival), they "felt better" (sensed the vibrations of sacred spots.) I think this because I too have (like many others) sensed something special at certain sacred places--think Tara, Glendalough, sacred wells and such in Ireland. The specific signature of such locations is a sense of bliss waves coming up from the ground--at times when one is not even aware that one is near such sacred places. I suspect that the entire tribe or group could be drawn to such locations because of this "inner knowing" through vibration (kundalini force). 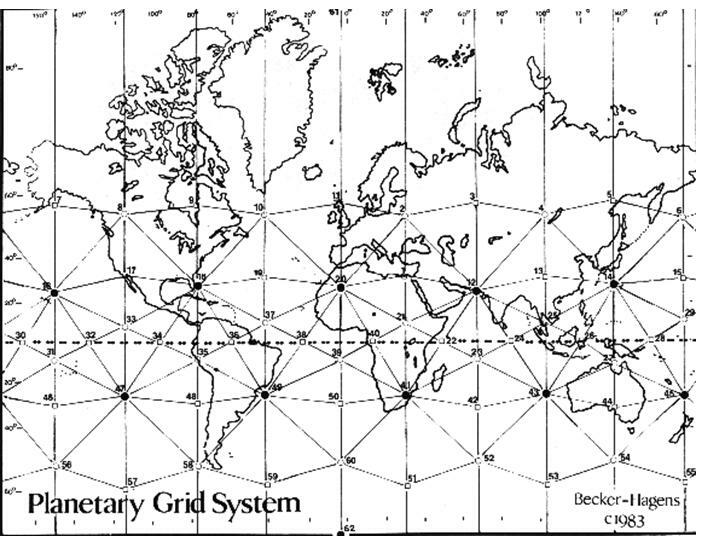 And--once the many sacred monuments or locations were built or recognized, then it became evident that they were located on the earth grid. At times we get glimpses or tastes of this (mostly) lost talent. It is delightful feeling and gives us a sense of connection with our ancestors. I often reflect on how our society will "be" should our advanced technological culture be wiped out. One reward might be a renewed capacity to sense earth energy in special places, through the bliss waves coming up through the soles of our feet and radiating through our bodies. 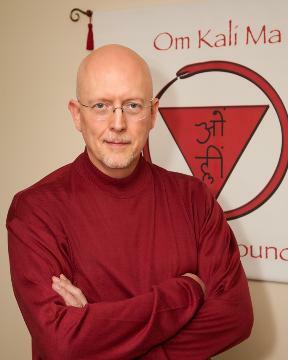 In case you are not familiar with Tom Kenyon's work, you should know that he is famous on many fronts, in particular for "channeling" the messages of the Hathors, a group of non-physical beings who speak from the higher dimensions. Tom himself is a gifted musician who uses sound and vibration to enter into higher states of consciousness and to enable others to do the same. In the website listed above, you will discover that although the meditation officially begins this afternoon, you can actually tune in on it and participate for many hours after the official start. Tom asks that you download the sound tracks ahead of time, in order not to cause his computer to crash from too many listeners. I have listened briefly to these downloads and discovered that each is simply a single note or chord played for a certain number of minutes. I will try to get back to them later when the meditation officially begins. Basically, Tom's work and the messages from the Hathors are intended to raise the vibrational level of humanity and the globe through light and sound. I firmly believe that such is also the purpose of world wide awakening to Kundalini, which is itself a primary vehical for raising vibrations both within the self and throughout the world. If you visit Tom's home site, you will discover a link to a youtube preview of an upcoming documentary film. This brief (10 minute) preview offers an interesting account of how Tom become the shaman/soundhealer he now is. His name was Arthur Young. He invented the modern helicopter, spent seven years on another major project only to find that someone else owned the patent. He explored the nature of the universe, and posited that the torus (a doughnut shaped geometrical figure) was the basis of creation and ongoing evolution. He was a genius. He was also a mystic. He developed a theory of "Process" and wrote a book called "The Reflective Universe." I will take a risk and guess that that process refers to the universe reflecting on itself through its creations, beginning with simple forms and progressing up to humans, the highest form of creation we are aware of. (I hope this assumption is correct). Our presenter (Bob Whitehouse) at today's gathering (of the Society for Scientific Exploration) was long familiar with Young's work, and offered a compelling talk indicating that in Young's practical and philosophical perspectives, a marriage of sorts takes place between science and spirituality. 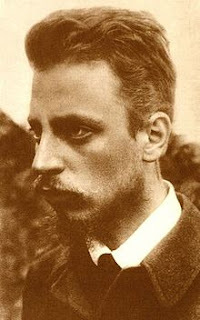 Young was obviously a very spiritual man, and wrote that many of his inspirations came from dreams and other unusual sources. Our speaker was quite convincing in his presentation, but frankly his speech was so packed with (to me) quite obscure scientific references that I could not follow much of it. Nonetheless, I enjoyed the presentation--the way one sometimes reads a book with limited comprehension, yet with some kind of intuitive grasp. At the end, during informal discussion, a science professor from India pointed out that the ancient rishis (wise men) had themselves proffered scientific theories explaining in a most effective way the origins and subsequent development of the universe. I agree with him, and strongly recommend (again) that anyone seriously interested in these topics should look at the early Kashmiri Shaivite texts, especially Jaideva Singh's translations of "The Yoga of Vibration and Divine Pulsation" and "The Yoga of Delight, Wonder, and Astonishment." Try to get the State University of New York edition if you can. One sample entry of the latter is the assertion that the highest state is that of the "bliss of non-difference from the entire universe"--in other words, the mystical state of consciousness in which one is fully absorbed by and interpenetrated by all that is. These early saint/philosophers also knew that the material universe is made up of energy, and vibrations were the source and manifestation of this energy. "Maya" was the term they used to express that we do not perceive nor experience "reality" as such, but rather a similitude created by the vibratory web and modern science offers the same assumption. Kundalini ecstasy, I believe, is the state that exists when we come into resonance with the cosmic vibrations that pulse throughout creation, and feel in our own bodies a bit of this "heavenly bliss." Finally, after much worry and confusion and worry, my blog is back on line. This resolution stems from the kind efforts of a friend who came over and (we hope) fixed the problem. All of these problems arose when I mistakenly furnished information to a site that threatened to destroy my e-mail account if I did not oblige. Part of me knew better, but somehow I fell for the ploy, and hence all my subsequent troubles. My advice: remember not to supply private information to an unknown source, even when it poses as an legitimate correspondent and threatens disaster if you do not comply. Well, as they say, "Love and learn."